Travelers are heading to Winter Park, Colorado for the 37th annual Wells Fargo Bank Cup, which brings together world-class disabled ski racers, Denver celebrities, Bronco alumni and amateur snowboarders and skiers for a weekend of activities.. John Romano of Vacation Rental Organization says travelers to the Winter Park area are turning to Colorado vacation rentals instead of hotels for accommodations. Travelers can stay in extremely comfortable lodgings in Winter Park, and have some extra cash to spend while they’re here. World class disabled ski racers will join Denver celebrities, Bronco alumni and amateur ski and snowboarding enthusiasts March 2-4 in Winter Park, Colorado for the 37th annual Wells Fargo Bank Cup. Many out-of-town visitors are choosing to book a private vacation rental home or condo in Winter Park at a much lower cost than a hotel room. The Wells Fargo Bank Cup begins with the Governor's Cup, a Pro Am race, where competitors assemble a team of five friends, family members or co-workers to compete for cash prizes and bragging rights. The highlight of the weekend is the World Disabled Invitational, when disabled skiers compete head-to-head on parallel courses. The Celebrity Challenge is one of the most entertaining events of the weekend as celebrities and former football stars make their way down a racecourse. Each year supporters from across the U.S. converge on Winter Park for the event, which benefits the National Sports Center for the Disabled (NSCD). 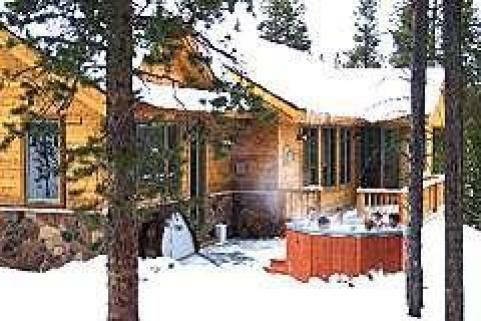 In recent years, a tough economy has created a new breed of travelers who have discovered the value of a Colorado vacation rental condo, cabin, chalet, home or apartment available through Vacation Rental Web Directory (VRWD.com). Families and friends can stay together under one roof with all the amenities of home, such as a kitchen and laundry room. Additionally, a Winter Park vacation rental home offers privacy and other perks, like a private Jacuzzi, game room, outdoor grill and more for a fraction of the cost of a hotel room. 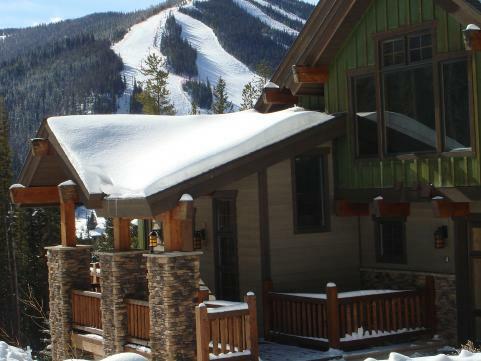 With plenty of visitors flocking into Winter Park for the weekend event, competition for lodgings in this popular winter vacation spot is made easier with a variety of new vacation rental chalets, villas, and cabins that sleep up to 20 people. John Romano of Vacation Rental Web Directory says the number of travelers discovering the benefits of a Winter Park vacation rental home is on the rise, particularly since they’re affordable and suitable for families and groups of all sizes. “People are taking advantage of vacation rental properties for short visits in places all across Colorado, the U.S., and internationally for years because of the convenience and savings,” Romano says. “Vacation Rentals Web Directory simply makes it easier for vacationers to connect with homeowners who want to rent their vacation homes out to private parties. Comparison shopping for vacation rentals in Winter Park is fun and easy to do. New vacation home rental listings are added daily, with plenty of availabilities throughout spring and summer. For visitors traveling with a disabled family member or friend, many vacation rental properties come equipped with handicapped ramps and accessibility features. Smart travelers with an eye on their budget can comparison shop for the best deal on a Winter Park vacation rental even if they’re only staying the night, according to Romano. The Wells Fargo Bank Cup benefits the National Sports Center for the Disabled (NSCD), an organization founded in Winter Park Colorado in 1970. The National Sports Center for the Disabled was created to impact the lives of people with any physical or mental challenge through quality adaptive recreation programs in more than 20 sports. When you visit Winter Park and see NSCD in action, you can actually see the impact this program has on lives that are involved from participants to instructors and the families of the participants. More than 23,000 lessons are provided annually. Plus a variety of events are scheduled throughout the year to help support the NSCD programs, with the Wells Fargo Bank Cup among one of the largest events. VRWD.com is led by an experienced team of vacation rental experts who are dedicated to making vacation rentals a more consolidated and trusted marketplace. For more information, visit the VRWD.com website.